A polar-grizzly bear hybrid walking on the shore. Polar-grizzly bear hybrids – also known as grolar bears – were once thought to be found only in zoos. Now they are being discovered in the wild. On Banks Island in 2006, a strange creature was shot: a grolar bear. The DNA of the animal was tested by scientists, who discovered that the shot bear was the offspring of a polar bear and grizzly bear. In 2010, a second-generation hybrid was also found and shot in the wild of Canada’s Northwest Territories by David Kuptana. Both of these events prove that polar-grizzly hybrids are not only surviving, but thriving in the wild. They are successfully passing on their genes to newer generations. Once believe to be reproducing solely in captivity, researchers are finding out that polar-grizzly hybrid bears are now being discovered beyond the containing walls of zoos. So what does this mean? Why are these bears – usually so far from each other in their natural environments – interbreeding? According to National Geographic, researchers have concluded that each species is being forced into closer proximity with one another. Unfortunately, much of their natural habitat is lost is due to human intervention and impacts. On top of that, there are even some scientists who believe that global warming is to blame. Marine biology of the International Arctic Research Center at the University of Alaska, Brendan Kelly, suggests that these polar-grizzly hybrids are, if anything, going to become a rather popular addition to the animal kingdom. 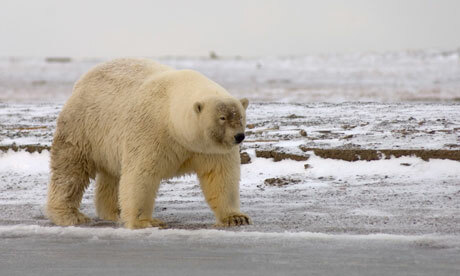 This is primarily because of the melting sea ice, and without sea ice for them to hunt and live on, the polar bears will be forced further inland near grizzly bears, thus resulting in an increase of polar-grizzly hybrids. Along with other animals that may possibly interbreed, if Kelly is correct, then the near future is sure to find more polar-grizzly bear hybrids. That being said, if you ever find yourself in one of those rare and heart-pounding situations in which you spy a bear in the wild, you may be looking at a grolar bear if it has the following attributes: lengthy necks, broad shoulders and humps, oh and of course the combination of coarse polar and grizzly hairs. But, to be on the safe side, you may want to keep your hybrid tacking skills solely at the zoo. I like your writing style genuinely enjoying this website.